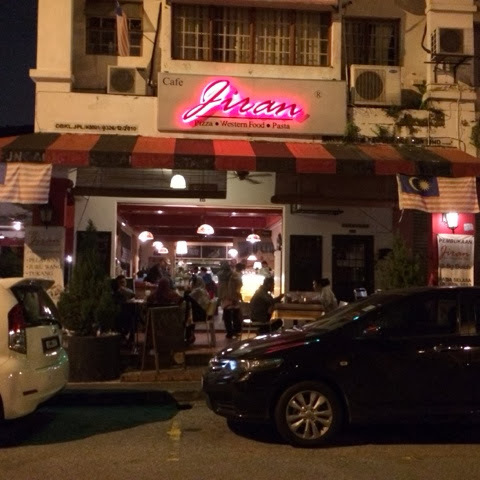 Just discovered Jiran cafe around Wangsa Maju area and turns out to be a nice addition to the neighbourhood. 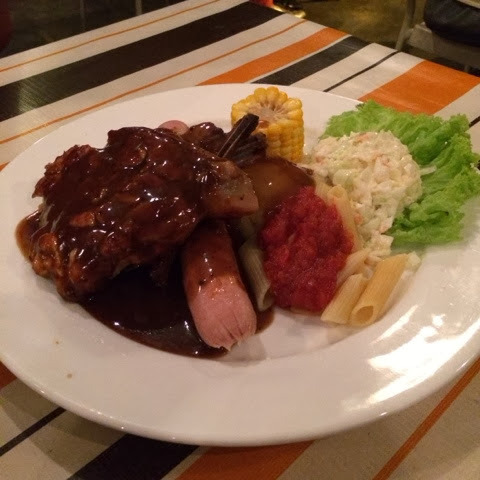 The cafe is appropriately called "Jiran" which means neighbour and they serve affordable western food. They do serve local food (like noodles) but if you're in Jiran, then do try their Western food. You're able to find your favourite steak, pizza and pasta. There's even an outdoor kitchen if you want to see prepare your food. 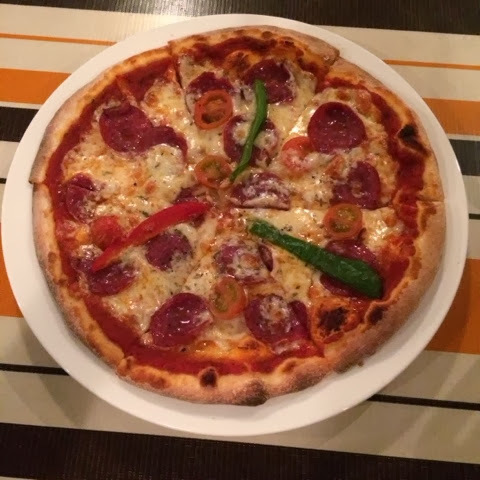 I had the Beef Pepperoni Pizza. Not too bad. But it they want to make it as thin crust, I wish they could bake it just a little bit longer, to make it more crunchier. 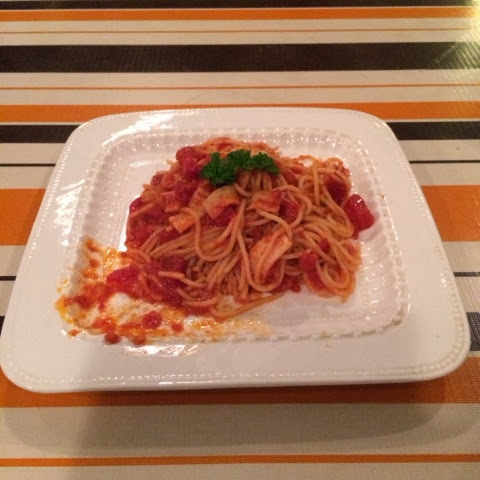 Chicken spaghetti with tomato sauce. I asked them what's available for dessert. One of the choices was Creme Brûlée. I asked for that and the waiter came back with the above cake. So, yes, maybe there was a miscommunication but that's apparently my "creme brûlée". What's worse, I couldn't figure what cake is that. 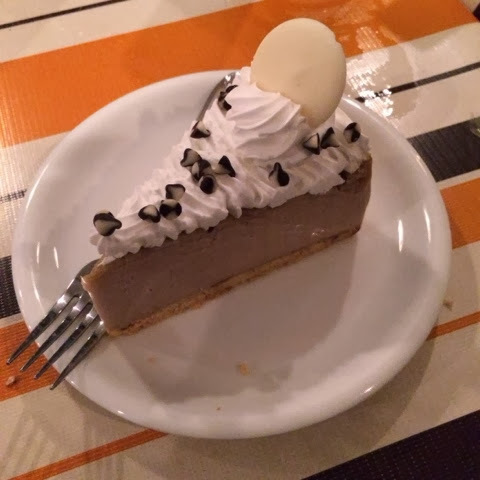 It does not taste like chocolate, it does not taste like oreo cheesecake. Hmm.. "interesting". The service was a bit slow that night. Had to wait for quite some time for my food to arrive. I wish they could provide a better range of dessert and for the waiters to know what "Creme Brûlée" is. So if you're ever around the neighbourhood, don't forget to visit Jiran.